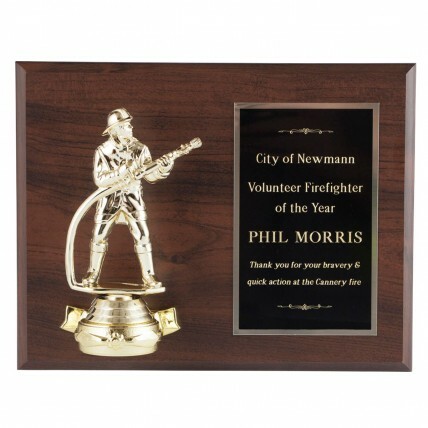 Award a deserving fire service professional a Engraved Firefighter Plaque. This classic walnut plaque features a golden firefighter figure on the left with your personalized engraving on the right. The message is etched on black brass in gold letters. This fire service plaque measures 9" wide by 7" tall. Engraving is FREE!